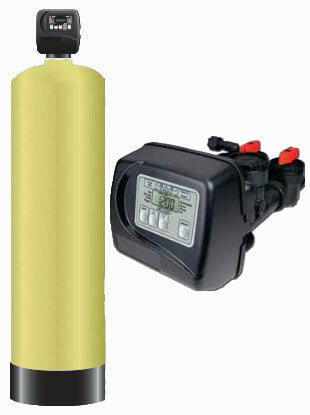 Our water Filters & Filtration systems are easy to maintain. With a high quality water filtration system from Aspen Water Solutions you can eliminate a variety of water problems. From bad smells, high iron content, acid water and small particles like sediment, manganese, iron, chlorine and gasses like hydrogen sulfide. Aspen water solutions can provide the Water Filter & Filtration system that is right for you. Always a Free, no hassle consultation! The effective way of removing unwanted buildup of solids, sediment, turbidity, iron, pH neutralization and unwanted taste or odors for large valium water needs. Chlorine in Your Tap Water!!! People who regularly drink tap water containing high levels of chlorine by-products have a greater risk of developing bladder and rectal cancers than people who drink non chlorinated water. The study estimates that about 9% of all bladder cancer and 18% of all rectal cancer cases are associated with long-term consumption of these by-products. This amounts to over 20,000 new cases each year.